Back on May 20, 2015, the unpiloted X-37B military space plane took off atop a United Launch Alliance Atlas V rocket. Yesterday, after spending 718 days in orbit, the craft’s classified mission came to an end when it touched down at Nasa’s Kennedy Space Center in Florida. The nine-foot-long X-37B’s landing caused a sonic boom that could be heard as far away as Tampa and Fort Meyers, but what it’s been doing these last two years remains shrouded in secrecy. This has been the fourth and longest mission (its previous record was 674 days) for the program, which is managed by the Air Force Rapid Capabilities Office. 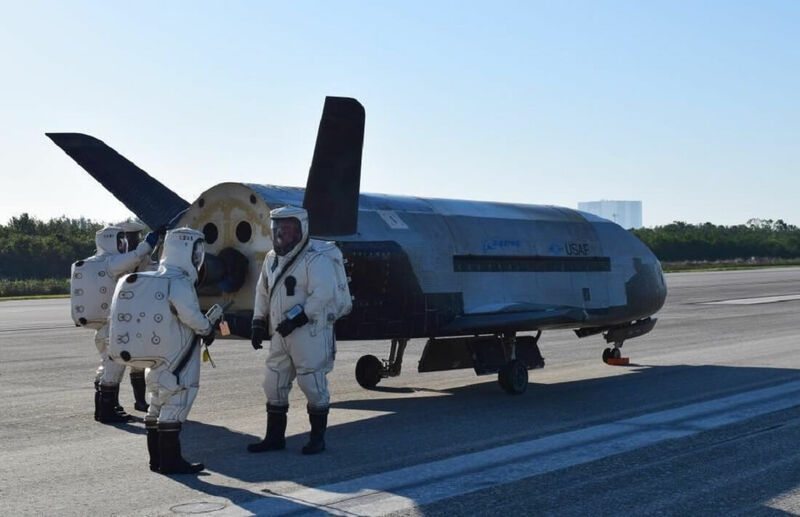 While avoiding any specifics, the air force said the X-37B preforms “risk reduction, experimentation and concept-of-operations development for reusable space vehicle technologies.” Even the program’s budget is classified information. So much secrecy suggests the craft carries intelligence-related hardware the US government would prefer its adversaries didn’t know about. However, as noted by CBS, before the space plane took off on its most recent mission, the Air Force did acknowledge two experiments X-37B was conducting: a NASA materials science project and one to test an Aerojet Rocketdyne Hall-effect thruster, which generates low but steady thrust by accelerating electrically charged xenon ions. The X-37B has now spent 2085 cumulative days in orbit since its first mission back in 2010. The program is expected to launch a fifth mission from Cape Canaveral Air force station later this year.